1. Lower Costs - Whether you’re currently using labels or pre-printed boxes, switching to direct carton marking is significantly cheaper. Free up warehouse space, reduce downtime, cut labor costs and reduce material costs by marking directly on the package. Plus, with the largest print area in the industry, Matthews printheads allow you to do more with fewer printheads. 2. Improve quality - High-resolution quality and spot color for barcodes and graphics produce clean, highly visible marks, even on darker substrates. 3. 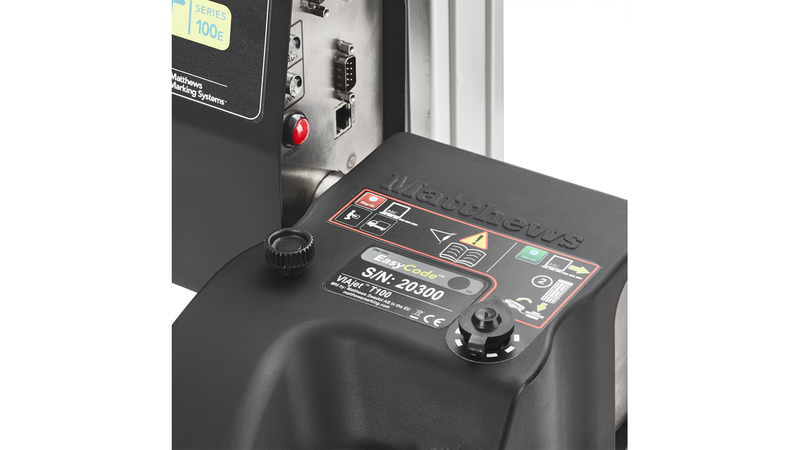 Decrease downtime - No more label machine jams or pre-printed box changes stopping your production line. Our low-maintenance direct carton printers pair with MPERIA® for easy message changes without the downtime. 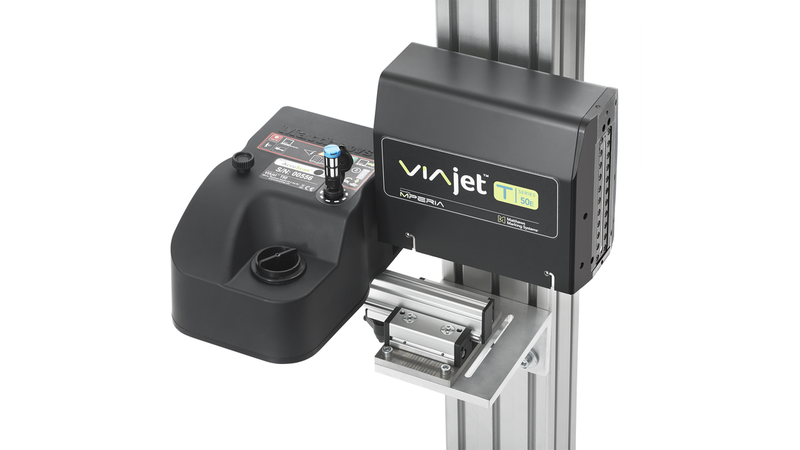 T50 - This high-resolution piezo inkjet printer provides exceptional barcode readability in case coding applications. Its superior ink efficiency and a recirculation auto-prime function allows for up to 35% less ink consumption than other brands. T100E/S - This high-resolution piezo inkjet printer provides exceptional barcode readability in case coding applications. Its superior ink efficiency and a recirculation auto-prime function allows for up to 35% less ink consumption than other brands.